Sometimes the standard color pallet just doesn’t fulfill your needs. 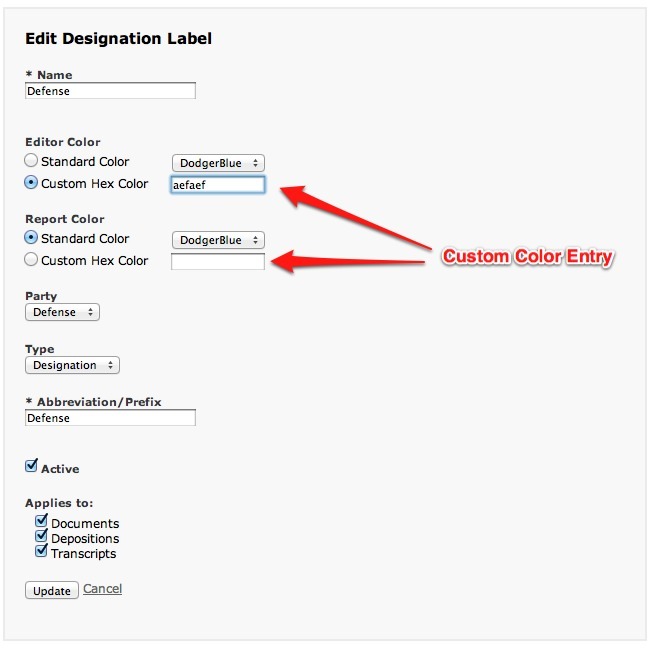 To give you more color choices, we recently added the ability to choose your own label colors in hexadecimal format. Our clients have been telling us how often they’re using the Nextpoint document ID to reference documents in their collections, so we featured them more prominently. You’ve always been able to search for a document by its document ID by using a search like ‘id:123’ and now you can add DocId to your GridviewTemplates. The document ID is also now more prominently featured on the document detail page. Hopefully you’ll enjoy these new features. The following features are available immediately in TrialCloud and DiscoveryCloud instances. When producing files that are only available as natives, it is handy to have a placeholder — something that can be bates stamped or even just “holds a spot” in the stack of paper following printing. To fill this need, we will now add a boilerplate image (at initial processing time) when we would otherwise not have anything to display/produce. 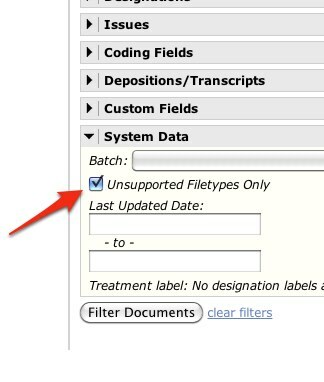 The placeholders will be inserted for new processing requests and are not available retroactively. The keys are in your hands as far as keeping/removing these images after processing completes and documents that are in this boat may be located via a filter for “Unsupported Filetypes Only”. 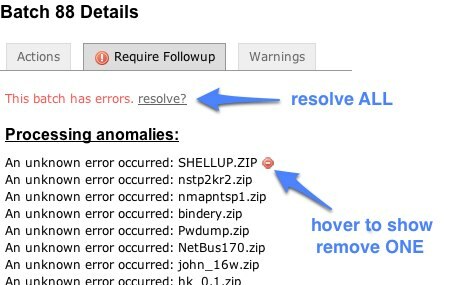 Another feature now available is the ability to remove individual error/warning messages following batch processing. This is in addition to the ability to resolve ALL messages in 1 motion. Removing the messages is permanent and should only be done when you are sure that the issue has been resolved adequately.